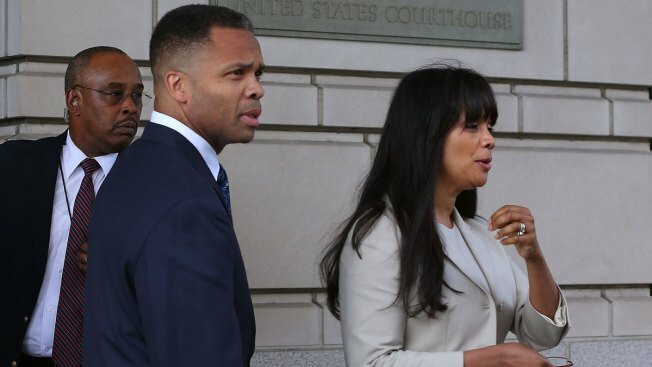 Attorneys say former U.S. Rep. Jesse Jackson Jr. and his estranged wife have reached a divorce settlement nearly five years after they pleaded guilty to schemes related to the misuse of a congressional campaign fund. The lawyers for Jackson and former Chicago Alderwoman Sandi Jackson said Friday the deal ends their marriage after 27 years and resolves all legal issues between them. Jesse Jackson Jr. filed for divorce in late 2016 citing "irreconcilable differences." The case was being handled in Washington, where Sandi Jackson and the couple's two children live. The settlement terms aren't public. Both Jacksons pleaded guilty in August 2013 to misusing the campaign fund. Each was sentenced to prison for diverting $750,000 to personal use from 2005 to 2012. They have been released from prison.